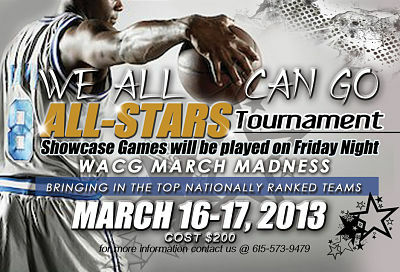 On March 15th thru 17th Basketball Spotlight will be headed to Nashville, Tennessee for the We All Can Go All Stars Tournament. This event will feature some of the top teams in the country and Basketball Spotlight will be there to bring you exclusive coverage of this event. That means tournament recaps and evaluations. This is our first time going to Nashville and we are excited to be in the building. AC Showcase Almost Here: Who's Ready To Shine? DeAndre Ayton Is The Real Deal! Spotlight Alum "Kid Mamba" Still Shining!